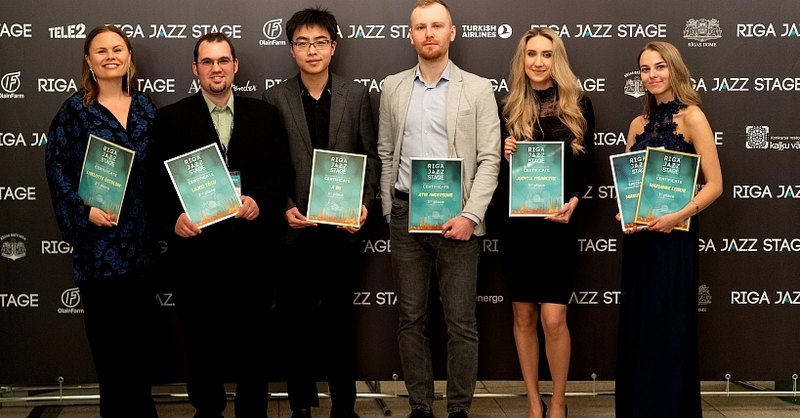 One of the biggest jazz events in Latvia, “Riga Jazz Stage”, has announced the winners in two categories – “Jazz Vocal” and “Jazz Piano”. 3rd place – Judyta Pisarczyk (Poland). 3rd place – Atis Andersons (Latvia). First prize winners in both categories received cash prizes of € 1,500, second and third prize winners - € 1,000 and € 700. Special Maestro Raimonds Pauls Prize was given to vocalist Marianne Leibur from Estonia. The first prize winners were also awarded “Korg” metronomes from the company “A&T Trade Music”. The audience-vote award from company “Tele 2” was given to vocalist Ceren Temel from Turkey. 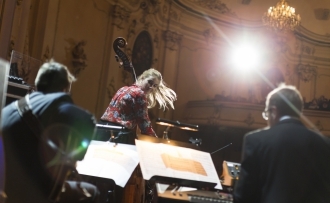 Contest participants received invitations from festivals and jazz clubs: “Rigas Ritmi Festival” (Latvia) - A Bu (China), Liselotte Östblom (Sweden); “Nardis Jazz Club” (Turkey) - Marianne Leibur (Estonia); “Ronnie Scott’s Jazz Club” (UK) - A Bu (China), Rina Yamazaki (Japan), Liselotte Östblom (Sweden); “Veneto Jazz Festival” (Italy) - Lajos Tóth (Hungary), Liselotte Östblom (Sweden); “Jazzkaar” (Estonia) - A Bu (China); invitation to participate in “Euroradio Jazz Orchestra 2019” (Austria) – Elza Ozoliņa (Latvia); “Jazz Time Fest” (Estonia) - Judyta Pisarczyk (Poland); “Kaunas Jazz Festival” (Lithuania) - Judyta Pisarczyk (Poland). 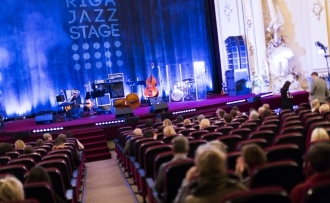 All together 56 jazz artists from 24 countries applied for the contest, and 26 were selected to perform at the Live concert in Riga. Performances were evaluated by an international jury of professional musicians, producers and festival directors from all over the world: Ali Focan (Nardis Jazz Club, Turkey), Georgina Javor (Jazz at Lincoln Center, USA), Giuseppe Mormile (Venezia Jazz Festival, Italy), Hiroyuki Yamanaka (Tokyo Jazz Festival, Japan), Jonas Jučas (Kaunas Jazz Festival, Lithuania), Maria João (jazz singer, Portugal), Māris Briežkalns (Festival Rigas Ritmi, Latvia), Paul Pace (Ronnie Scott’s Jazz Club, UK), Toivo Unt (Jazz Time Fest, Estonia) and Maestro Raimonds Pauls (Latvia). Artist in Residence 2019 and member of the jury – Portuguese jazz singer Maria João. 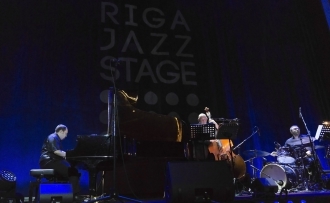 Jazz Artist Contest “Riga Jazz Stage” has been organized on an annual basis by the non-profit organization Fund Contemporary Music Center since 2004. For all these years, the competition has been offering new artists from all over the world the unique opportunity to present their talent.